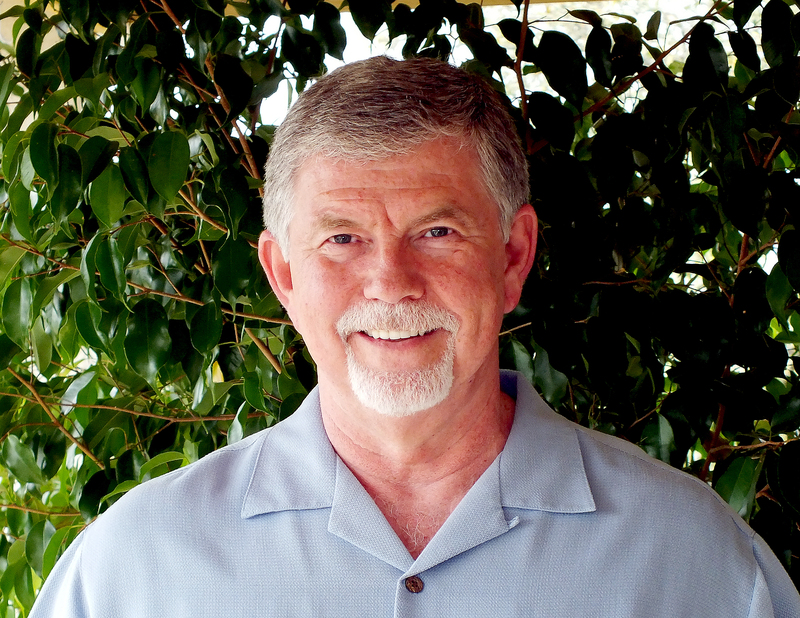 Dr. Dan Mathews is a Chiropractor and Spiritual Healer from Little Rock, Arkansas. He emerged from a near-death experience 14 years ago with knowledge of how to connect people with their “indwelling God Presence.” Since that time he has remained consciously in communication with the Beings of Light that he encountered during the “death” experience. He continues to receive updates of how to better serve people, the Earth and humanity. And he generously shares it with everyone he meets. He is completely devoted to his path of uplifting humanity and the planet with his gift. Where did HOLY DIVINE HEALING originate? Learn more by watching his interview. Dr. Dan Mathews had a near death experience in August of 1992. On the other side of the veil he was ordained into the priesthood of Melchizedek and was given specific information about the “paradigms” which are defined as the level of consciousness that exists on earth. * He was told that since the original downfall of man only three paradigms or realities had existed: one which began at the dawn of time, the second beginning with Abraham and the third emerged during the life of Jesus. Dr. Dan was told that beginning in 2003 humanity would enter into a warp-speed evolution of consciousness by moving through another twelve new paradigms of consciousness. After Dr. Dan was given this information he was gifted with HOLY DIVINE HEALING. He was instructed to return to his body and use this gift by helping people reconnect to the parts of their soul which have been fragmented since the dawn of time and move gracefully through shifting paradigms with a complete connection to the God Presence within. Since this experience in 1992, Dr. Dan has assisted many people in their transitions through one-on-one sessions completed in person or by phone, and through group healings and lectures. What can I expect from a HOLY DIVINE HEALING session? After a session it is difficult express the experience in words. You understand deeply that a major shift has occurred and the connection to the God Presence within has an extraordinary clarity. What makes HOLY DIVINE HEALING so powerful is that it is orchestrated by the living God that beats your heart. Dr. Dan is the facilitator of this connection during sessions which usually last around 30 minutes. He starts by connecting with your God Presence for guidance. This Presence knows all of your life and all about you, thus directing your healing session specifically attuned to your needs. Dr. Dan was brought to the San Antonio area in March 2002 and has returned every other month since then. He consistently trusts his own indwelling God Presence and encourages others to trust theirs. He seems to always “walk the walk” and personally integrates the updates before providing them for others. He does not make a judgment about another person. He is in complete allowance of wherever someone’s path leads them and will be of assistance if asked. While doing the healing, he connects with his Christ Consciousness to access the person’s indwelling God Presence. Through his work he has learned that the crystalline lattice of Light we are at conception becomes vulnerable when we experience negative emotions and events in life. His healing work allows our Indwelling God Presence to create spontaneous healing and de-fragmenting of the Divine Self. This provides an opportunity for our fears, pain and judgments to be healed. Because the indwelling God Presence is orchestrating the healing session, the mind does not have to get involved and the healing occurs at a very deep level. Dr. Dan repeatedly says that this work brings awareness to each person of their own unique gifts. We have found that to be accurate. Many have a deep recognition of their own worth, uniqueness and gifts that resulted from Dr. Dan’s sessions. Whatever the overall theme for relationships, jobs, friendships, abundance and health are in someone’s life–this work will make them easier, happier, healthier and more prosperous. It may not be instant, although some health problems disappear immediately. “At birth, you are a perfect being. Every cell in your body has a function; each one knows what to do and how to work as a team in harmony with other cells in your body. When the world is out of balance: war, famine, pollution, greed, anger, fear, etc. – we react! We react by working long hours, eating too much, not getting enough sleep, leaving us to live in fear and anger, tense, exhausted, and in pain. The cells in our body record how we react to stress and insure that we react that same way again and again. This becomes a vicious cycle that unconsciously perpetuates itself. This simple process of Holy Divine Healing brings light to your body, freedom to your mind and calm to your emotions. HDH increases your vital energy, resulting in a stronger, clearer, conscious connection with your higher power. HDH allows the God presence within to orchestrate the rebalancing and healing of your body on all levels. All that is required from the seeker is to trust in God. This means being open and trusting to letting God decide what is best for you. How can I receive Holy Divine Healing from Dr. Dan? Dr. Mathews travels to different parts of the country each month and offers Holy Divine Healing Group Healing events as well as individual consultations. This is a very powerful service for the planet and for each individual that participates. A Love Offering of $35 is requested for Group Events . It is usually 1½ to 2 hours. See his schedule to find an event in your area. Dr. Dan’s private appointments are dedicated to your personal situation and are approximately 30 minutes each. The pricing is a sliding scale $85 -$148 and payment is reflective of your feeling toward the service. Cash is preferred. Check out the Sponsor Contact Page to locate a sponsor near you. If you are curious or feel lead, trust in your God Presence and contact Dr. Dan to learn more about session or upcoming events. You can reach him at (501) 416-1996 or by email at drdanhdh@gmail.com. http://holydivinehealingstore.com/ is a place to purchase recordings of the Group Healings done by Dr. Dan Mathews and the Teleconference Call-in for Group Healings in Texas. FOLLOW this blog to get immediate updates – click on “Follow” at the top of any page.